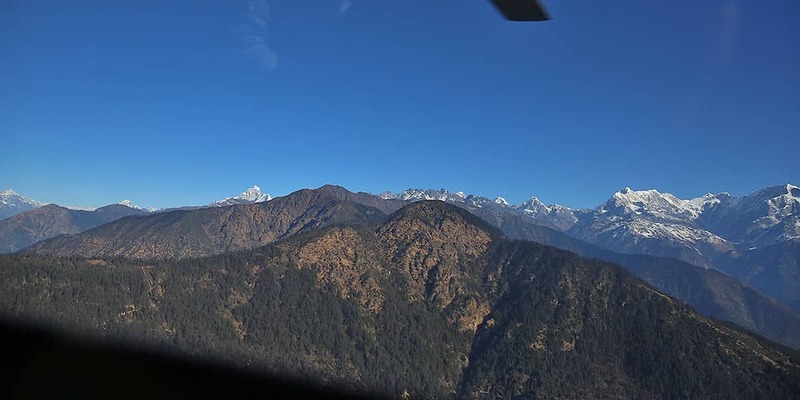 Helicopter flights over the Everest Region are the ultimate day experience! 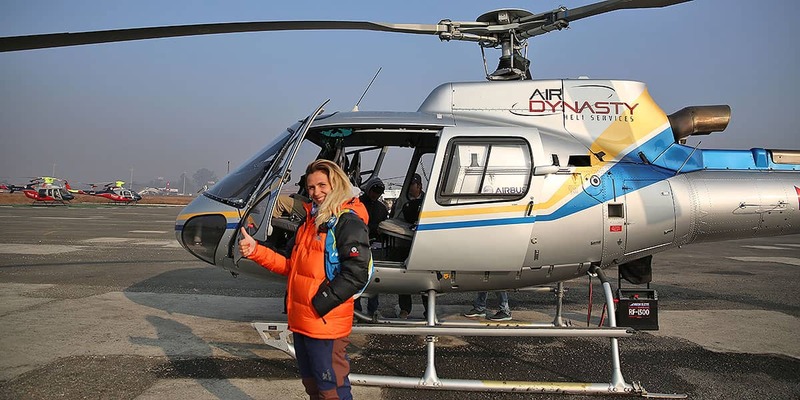 With pick-ups in Kathmandu the helicopter flight will take you to lower Kala Patthar. 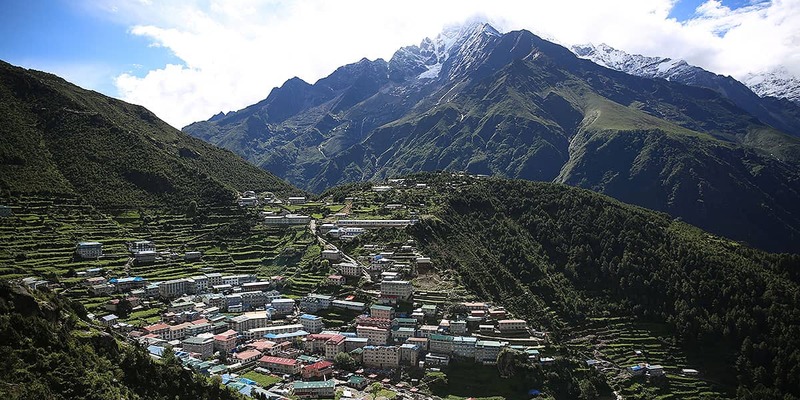 Kalapathar provides perfect, scenic views of all the Himalayan giants, including Mount Everest. You will be at an altitude higher than Everest Base Camp. The helicopter skims alongside the mountains, allowing you to feel connected to your surroundings. This is an experience like no other. Obviously, when you’re flying at high altitude safety is paramount. 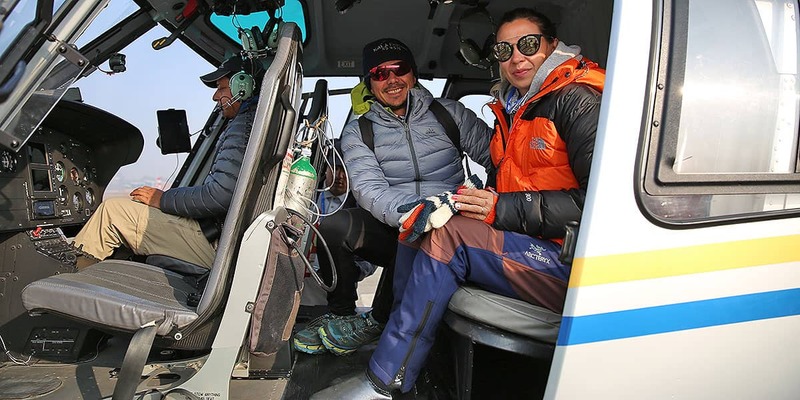 You can rest assured the company we use for helicopter flights over the Everest Region, have a fleet of new helicopters and use only pilots with many years of experience of flying in and around the Everest region. The price includes hotel transfers and all essentials for the helicopter flight. This can be booked for a maximum of four people at a time, a minimum of one. Please note availability is only from October to May, due to weather. 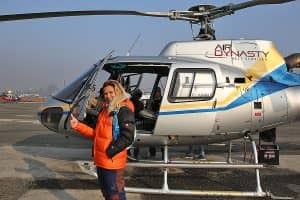 Transfer to Helicopter Pad at Kathmandu Airport with your guide. Discuss your ultimate experience, learn what to expect from your journey ahead. Your guide and pilot will be happy to answer any questions you may have. 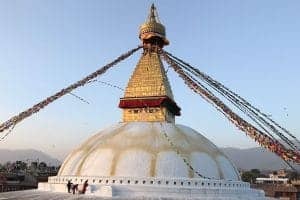 Enjoy the incredible birds eye view of busy and bustling Kathmandu valley, before gliding over the ridge of a mountain, where you begin to encounter breathtaking views of the mountains at the foothills of the Himalayan peaks. You will see small villages, mountain ridges, rivers, valleys and passes. 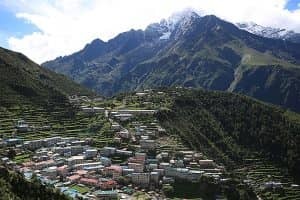 The first of many Sherpa villages you will see today. 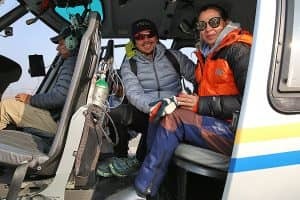 Upon arrival, the team at Lukla airport will quickly refuel the helicopter. During this time your details will be taken. This is for permission to enter the Everest region. 9.15am: Now begins the true Everest Experience! 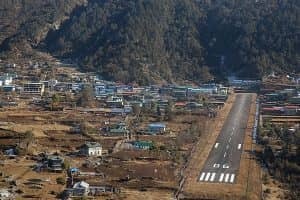 After settling back into the helicopter, your flight will take you over the famous Sherpa Buddhist villages of Namche, Tengboche, Dingboche, Gorakshep and the Khumbu Glacier, before you land at lower Kalapathar. 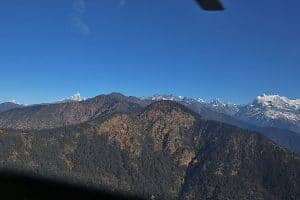 Landing at Lower Kalapathar provides the best possible views of Mount Everest and the surrounding peaks. From this location you will be at an altitude higher than Everest Base Camp (5,450m). After landing, you’re given 5 minutes at your chosen site. This time limitation is for your own safety, as you may be affected by high altitude sickness if you stay longer. Don’t panic, this is enough time for photos and to take in what’s guaranteed to be the most spectacular scenery you have ever seen. 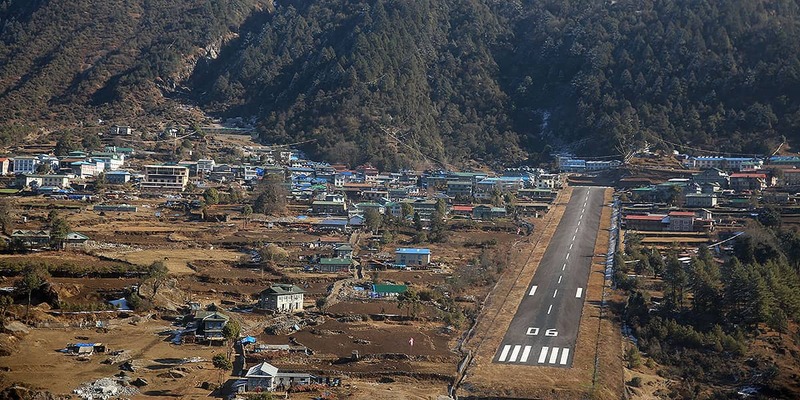 Your flight returns to Lukla for a quick refueling, before returning to Kathmandu. 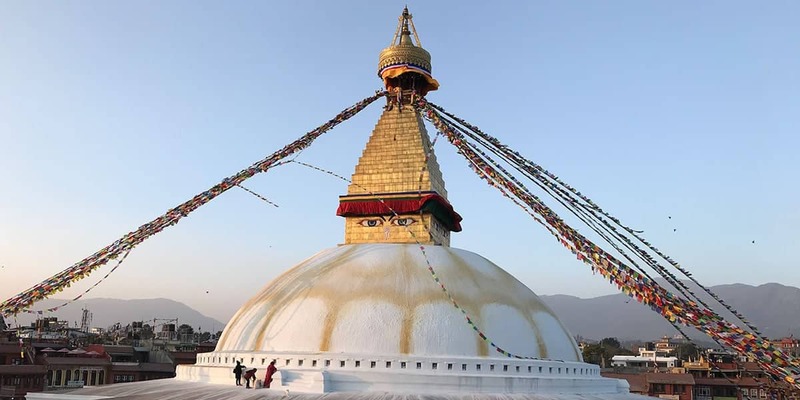 Upon landing in Kathmandu, your guide will arrange your transfer back to your hotel. This is certain to be the most exciting and exhilarating experience of your life. A must do!